Author Note: Re-released in a second edition with two new chapters and additional new content. I fell in love with this series years ago and I'm glad to have had another chance to read it again and review it for Wicked Reads. 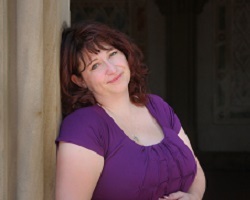 Rachel is a woman on the run from an abusive man she had one date with. One date. Utterly alone and with the cops not being able to help her, she gets help from an unlikely source and leaves everything behind. When her car breaks down just outside of Bliss, she knows she can't stay, as much as she wants to. People in little towns ask lots of questions and she can't risk becoming attached to anyone. He will find her again, and this time she's afraid he will do more than hurt her. Max Harper is tired. Tired of the women his brother, Rye, brings home. He knows that the women are not right for the life he, they, want. They want a woman they can share, be husbands to, to have kids with. He's not willing to settle for a woman who's not the one. When Max sees Rachel at the diner, he's all in. 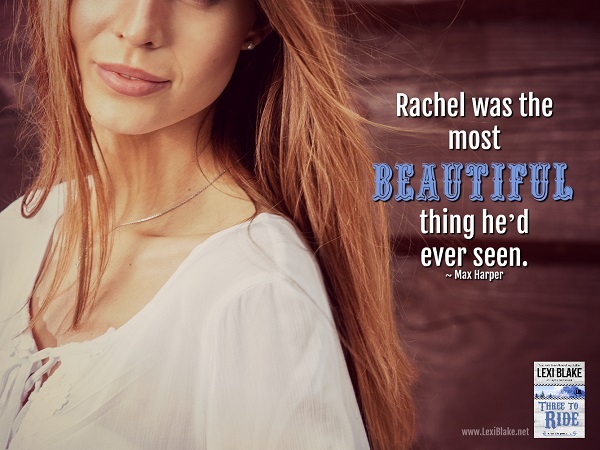 There's something about Rachel that calls to him, that soothes his rough edges. He's even willing to go solo if that's what it takes to make Rachel his. He knows that without Rye being part of his relationship with Rachel, he can't possibly give her everything she needs but he will try. Rye knows there's something going on with Max and when he meets Rachel, he begins to fall in love with her as well. He steps back, giving Max and Rachel time to themselves, all the while longing for the peace that comes over Max when he's with Rachel. 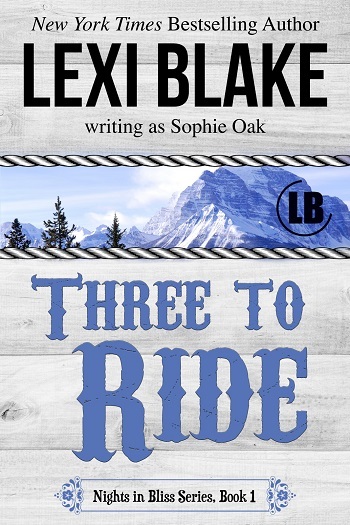 After Max's accident, Rachel learns that she can't live without either Max or Rye and thankfully, she's in a town where all things are possible. I love reading about Bliss, CO where everyone and love in all shapes and combinations are not only accepted but celebrated. I love spending afternoons in Bliss where the off-beat and unconventional are the norm and beets are the menu. This is the first time I've read this series, despite it being out for a while. I have to say that it didn't disappoint. You kind of begin in the middle of Rachel's crisis. However, it's not in a jarring way – it gives great context to the story. She is strong but knows when she needs to be ahead of the trouble. When she finds herself at the end of her money and somewhere she doesn't really know where – Rachel ends up in the middle of a blizzard and hungry. Despite her reservations of being on the run, she likes the quirky feel to Bliss. Rachel knows that small towns offer little protection, but she's desperate and thinks maybe staying a little while will be fine. Max and Rye have been sharing women since they were young. Being brothers, it was just a natural reaction for them. But with Max being tired of not finding the right woman to love and marry between him and his brother, both decide that maybe it's time they try their luck separately. Max is the town sheriff and because of that, he travels for a conference right as the storm hits. With Rye left behind, Rye is the first to come across Rachel and when she puts him in his place, he is more than intrigued. Despite being known around town as the rougher of the two twins, for some reason, he allows Rachel to get the better of him. When Max returns and sees how happy his brother is with Rachel, he's jealous and also wants his brother to be happy. It's difficult for him to rectify the emotions, but he also knows that if Rye has found someone, he can't stand in the way. Rachel fears that her stalker will find her and despite having the strong arms of Rye around her, things begin to creep in to her fears and when push comes to shove, Rachel has to decide to stay and fight or run again. I really enjoyed the banter between all three main characters and it was fun to see how the town integrated into the story. I can't wait to see what happens next! Especially given the twins' friends and their devious ways to get the brothers to see that they could both love Rachel. This is the first in a series – and I would recommend that you read the author's note at the beginning as it was fascinating understanding where the ideas came from, and why finally Bliss is allowed to live again! There is a degree of world building in the book, but I loved the wackiness of the community, even if it did feel a little dated – and I think that is because we are all so much more political than it even seemed to acknowledge, but that is an observation rather than a criticism. I am a huge fan of ménage stories, so the fact that this grows slowly due to a change in the twins’ modus operandi had me waiting for how it was going to work out. But I liked that Rachel had a chance to restore her confidence with Max, and fantasise about Rye. Whilst she couldn't deny the chemistry, she had a lot of trust to rebuild. Max also had major trust issues, so they were the perfect starting point for the potential romance. Although the story happens over a fairly short space of time, it never felt rushed. I loved that we already have the set up for the next story and am looking forward to its release. 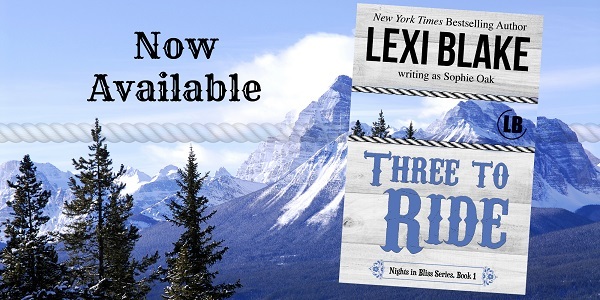 Reviewers on the Wicked Reads Review Team were provided a free copy of Three to Ride (Nights in Bliss, Colorado #1) by Lexi Blake to read and review for this tour.